Dr. Parsa Mohebi, founder of the Beverly Hills and Los Angeles hair transplant centers known as US Hair Restoration has announced the renaming of his practice, which he established over six years ago, to Parsa Mohebi Hair Restoration. “When we established our initial offices in Southern California several years ago, we used a name that represented our mission, which was to provide quality hair restoration for everyone in the United States,” Dr. Mohebi explained. “Over time, our brand became more about using modern, cutting-edge techniques, including many of our own innovations. The International Society of Hair Restoration Surgeons (ISHRS), a not-for-profit medical association focused on medical and surgical outcomes excellence in the field of hair restoration, recently issued a consumer alert warning patients of the risk of having hair restoration surgery performed by an unlicensed technician. 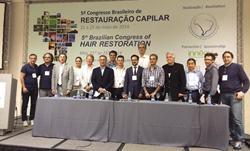 At the ISHRS Annual Meeting, more than 500 physicians and surgical assistants from around the world will learn about the latest technological and scientific advances in treating hair loss, while earning continuing medical education (CME) credits. 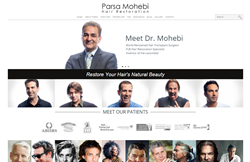 US Hair Restoration Founder, Dr. Parsa Mohebi, has recently announced that his practice will now be known as Parsa Mohebi Hair Restoration. Since first opening in 2008, US Hair Restoration has helped hundreds of patients in Southern California and around the world, who traveled to one of its centers in Los Angeles, Beverly Hills and Orange County. Dr. Parsa Mohebi presented his groundbreaking technique for donor wound closure in front of an enthusiastic audience of international hair restoration surgeons. His technique known as Partial Trichophytic Closure improves the appearance of a patient’s hair transplant scar. Patients are extremely satisfied since the results of this procedure are minimally detectable in most cases. 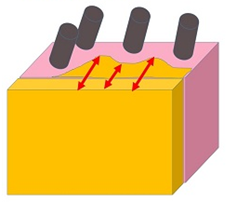 The doctor explained how this novel technique improves on the original method of donor wound closure known as Trichophytic Closure, “Partial Trichophytic Closure removes only the edges of the wound that will not grow hair due to minimal damage that may happen to the hair follicles. Hair loss is an issue that has troubled both men and women since the dawn of time, losing hair can have a significant negative effect on a person’s confidence. Moorgate Aesthetics UK Hair transplant clinic UK are now offering a range of the latest hair transplant surgery techniques including the popular and highly effective Follicular Unit Extraction (FUE) technique and FUT hair transplant. Increasing numbers of balding Canadian men – supposedly tired of combovers, miracle potions and scared of going under the knife – are trading in their toques for minimally invasive, robotic hair restoration. “The surge in interest”, explains Dr. Kolenda of Verso Surgery, “is the result of dramatic improvements in technology that allow physicians to provide virtually undetectable hair transplants. 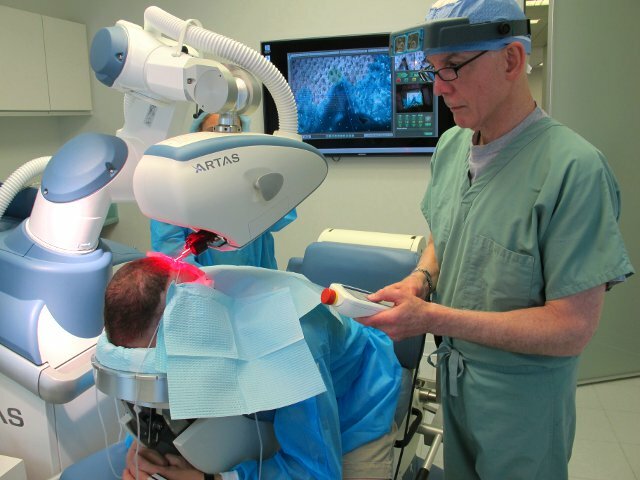 Doll-like hair plugs, long recovery periods and scarring are now a thing of the past with robot-assisted FUE. Dr. Amir Moradi, board certified Facial Plastic and Reconstructive Surgeon, is pleased to announce the addition of NeoGraft Hair Restoration to his San Diego practice. 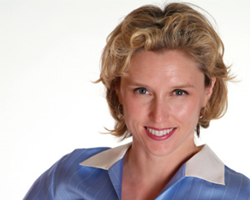 “NeoGraft is the cutting edge in hair replacement technologies. 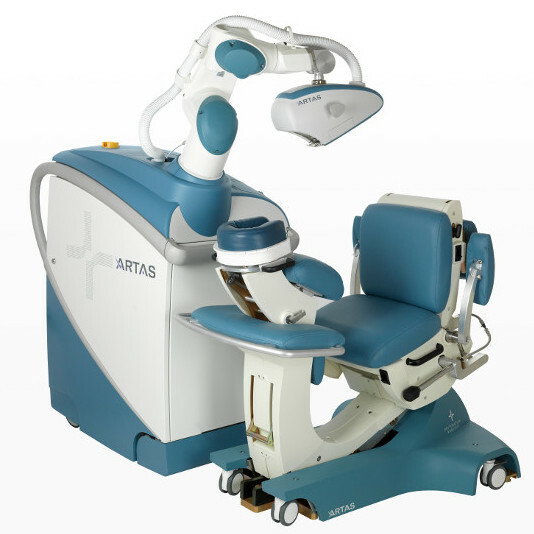 It allows patients an option for treating their hair loss that is quick and minimally invasive, with no downtime and most importantly, no scarring”– Amir Moradi, M.D. 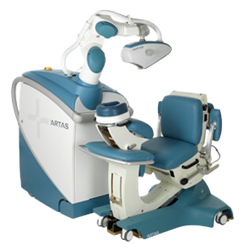 NeoGraft technology automates the surgical removal, collection, and placement of individual hair follicles, one at a time. This technique eliminates the need for doctors to remove a large strip from the back of the scalp (a procedure known as a linear-harvest Follicular Unit Transplant or STRIP FUT). NeoGraft uses controlled pneumatic pressure to gently remove the follicles one at a time without cutting, pulling, or twisting. This method keeps each follicle intact and enhances patient comfort.